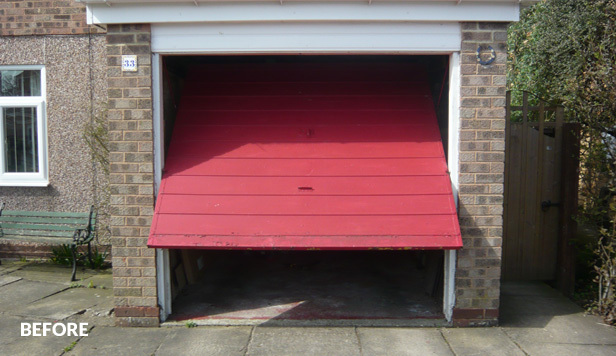 This age old debate has continued to rumble on, however we’re looking to dispel some of the myths and give you some handy advice on whether you should repair or replace your garage door. Like anything that works with mechanisms, your garage door, no matter how well it is built, will eventually suffer from some general wear and tear. This is perfectly normal and shouldn’t be something to worry about. If you have chosen your own garage door you might be hesitant to replace it, which is perfectly understandable. After all, it is to your taste and it may well be an integral part of your home’s design. If this is the case, repairing your garage door might be the best options, providing it does not have deeper problems. The Garage Door Team stock a variety of garage door spares form all the major manufacturers such as Hormann and Garador, and thanks to you expert local garage door fitter we can often be out on the day you ring us for a free evaluation and quote. Once we have the parts, we’ll come out and fit them at your convenience. If you did not choose your garage door or you would like something a bit newer, West Yorkshire Garage Doors stock modern garage doors from all major manufacturers. There may also be some signs that you need to look out for in your old garage door when considering replacement or repair. If you find your existing garage door has rot, fungi, mould or mushrooms growing on it, it is a sign of moisture damage. If this reaches the mechanisms then it could make the garage door unstable, causing it to be a danger to you and your family. If this is the case, then a new garage door is the best solution. We offer a variety of types including steel, timber, and GRP (Glass Reinforced Polyester) garage doors, which offer fantastic value and are virtually maintenance free. If you would like some expert advice and a FREE site survey, simply get in touch & we can recommend the best course of action.